Bring the power of mindfulness into your family’s everyday life. Mindfulness practice has been shown to enhance our health and quality of life at any age. It’s no wonder so many of us want to teach mindfulness to our kids - but how can a busy parent find both the time and the right approach? 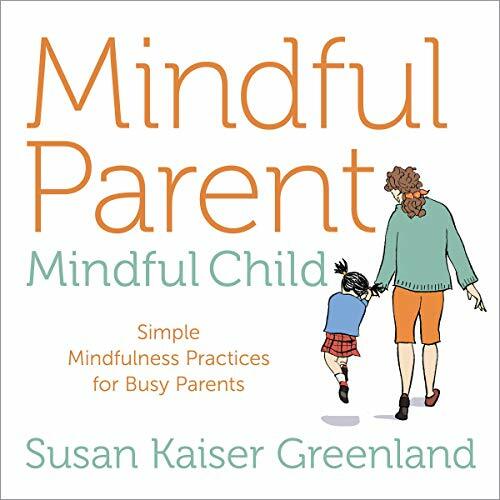 “The surest way to raise a mindful child is to be a mindful parent,” teaches Susan Greenland. With Mindful Parent, Mindful Child, this expert teacher presents an audio journey created to help families discover the life-changing power of mindfulness together - in just 10 minutes a day. Practices to make mindfulness accessible, natural, and fun. As a mom and pioneer in developing secular mindfulness programs for children and families, Greenland has learned the best methods to fit mindfulness training into a hectic modern schedule. Here, she presents 30 short practices that teach you the mindful path to becoming more resilient, balanced, compassionate, and joyful in your life - using examples, stories, and techniques you can easily apply within your daily routine and lifestyle. You’ll learn how to let go without giving up, be “healthy busy” instead of “crazy busy”, find the upside of failure, build confidence like a superhero, and much more. In a world filled with distractions and media messages that condition us and our kids to be anxious and fearful, mindfulness is a potent antidote. With Mindful Parent, Mindful Child, you’ll have an invaluable resource for empowering yourself and your whole family with essential skills that will last a lifetime.